TofC friends Jordan and Rikki Dalrymple explored the magical island of Grenada on a recent trip to the Caribbean. Here they've shared their adventure with us. Enjoy! 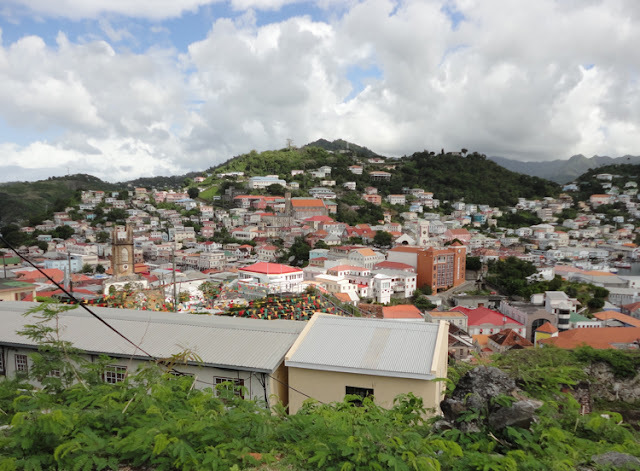 My wife Rikki and I were looking for a warm spot to visit in the month of January and after doing some research, we decided upon the island of Grenada in the Caribbean. With highs in the 80's that time of year (and lows in the 70's), as well as a reputation for lush scenery, friendly local folk and tasty cuisine, it seemed a worthy destination. Thanks to some frequent flyer miles and a few generous Christmas donations, we packed our bags and set out for the "Spice Isle" of the West Indies. The Cabier Ocean Lodge on the less touristy East side of the island proved to be a perfect choice of accommodations as we settled in the first night to the sound of crashing waves and wind in the trees. 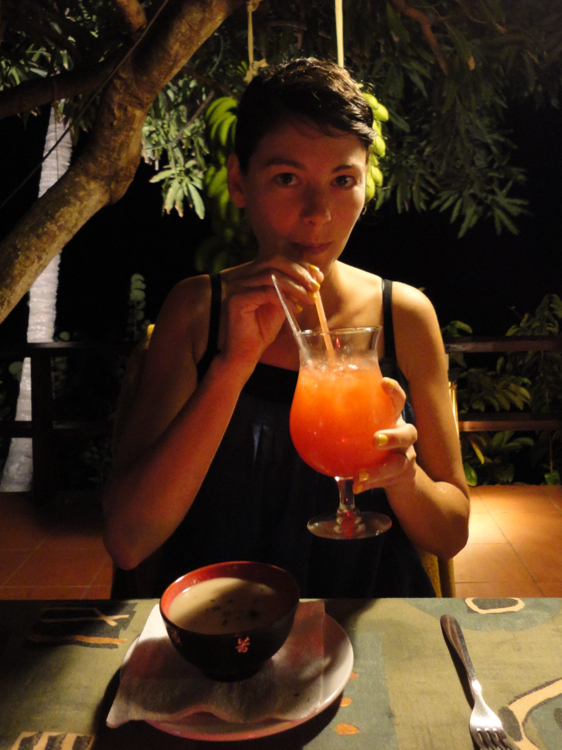 After a lazy next day of swimming in the warm turquoise water, we decided to try the Lodge's restaurant for our first dinner. 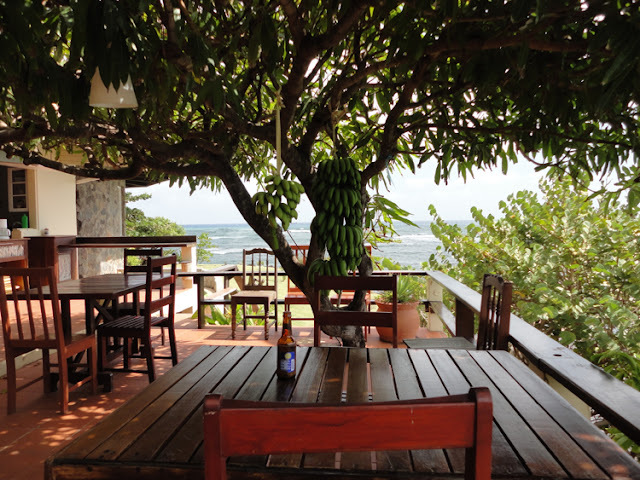 Chef Bruno Delvalee (also the Lodge's manager along with his wife Iris) welcomed us with a warm smile and offered us a table underneath a mango tree. We didn't know what to expect as there was no menu and were delighted when our server arrived with two bowls of scrumptious green banana soup. Next came the main course, a French-Creole preparation of a local needlefish called Gar, along with a ratatouille of tomatoes, broccoli and potatoes. Delicious. For dessert, we were offered sugar crepes with Grand Marnier as we topped off our perfectly mixed rum punches. A perfect first meal! 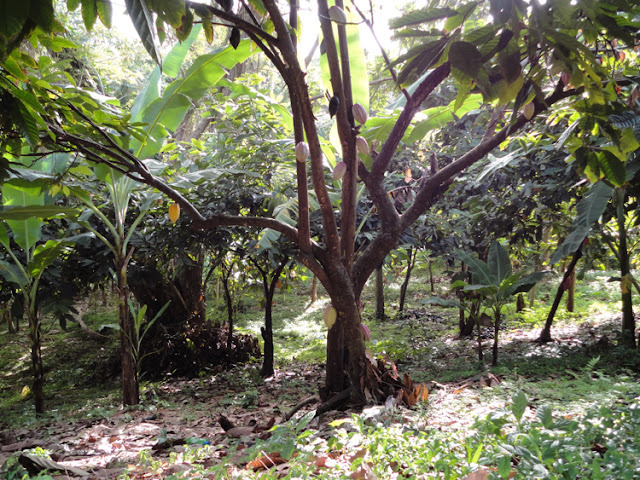 The local saying is "no one goes hungry in Grenada," and judging by the abundant breadfruit, five-finger fruit, soursop, mango, banana and cocoa trees along the road to the nearby village of Crochu, the saying rings true. 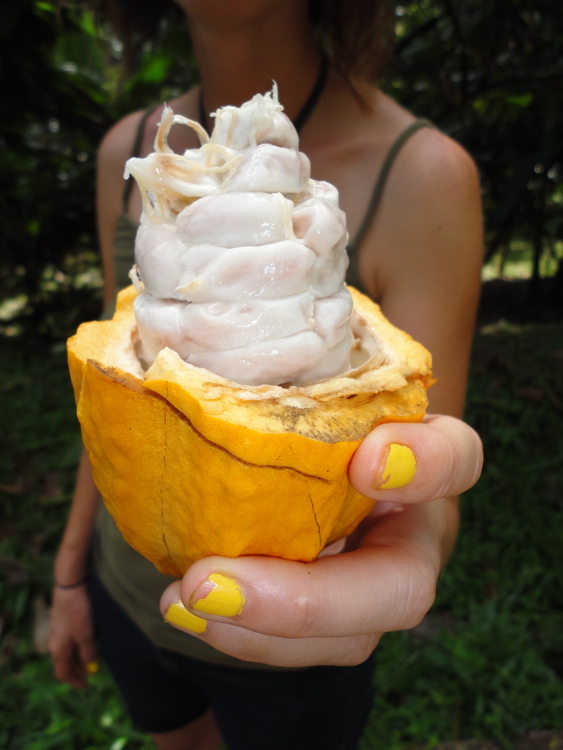 A local gardener wielding a machete said a friendly "good afternoon" and cut open a cocoa pod from one of the trees for us to taste. The gelatinous white flesh around the beans tasted sweet like candy and smelled a little like squash. A few days later, some of our fellow lodgers from London gave us a tip on a locals-only restaurant in the nearby town of Grenville called the Melting Pot. We caught a local minibus and headed up along the picturesque Eastern coast of the island to the sound of Soca blasting on the stereo. The town was bustling as we arrived. We followed our lodgers' directions to a set of red tile steps that take you above a grocery store. What we found was something akin to West Indian soul food. They offered ox-tail, three kinds of pork, chicken and beef as well as a full array of sides and baked goods. 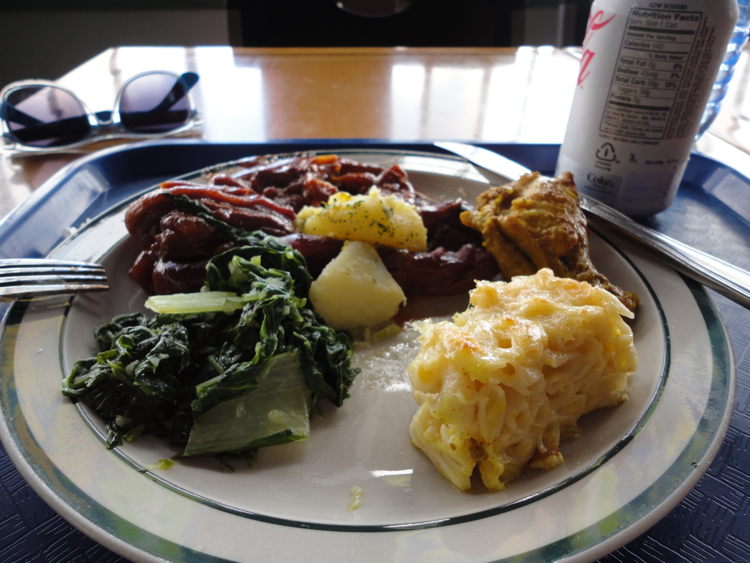 We ended up sampling the barbeque pork, curry chicken, greens, potatoes and mac 'n' cheese as we watched the stunning views of Grenville harbor and Marquis Island through the picture frame windows. Comfort food at its finest! By the end of the week, we decided it was time to check out the other side of the island. After twisting and turning through the volcanic hills, we arrived at Grande Anse beach, just south of Grenada's capital city of St. George's. 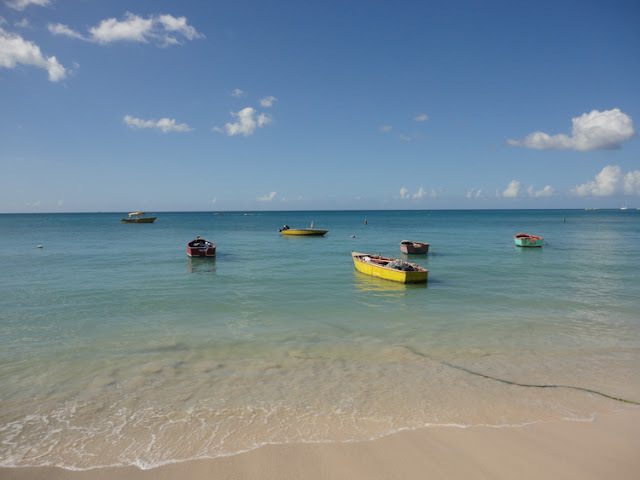 The perfect white sand and clear green water showcased why this beach is considered one of the Caribbean's most lovely. 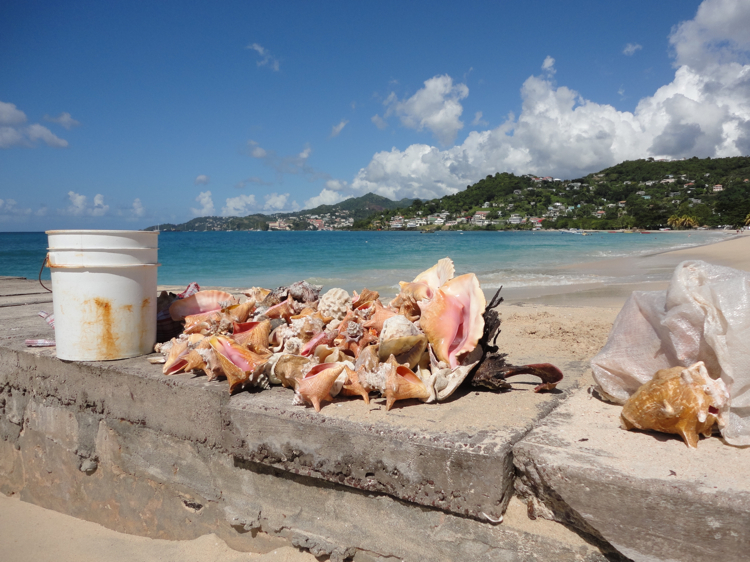 We had a relaxing swim then took a stroll and came upon this conch-laden dock with a view of the capital's brightly colored roofs in the background. As we had a seat on the dock and dipped our toes in the ocean, the conchs' fisherman came over and offered us our choice from his treasure trove. Rikki chose her favorite and we headed further down the beach with our prize. We soon met another man carrying some freshly caught snapper who offered us a beer at his nearby restaurant (which was closed until the next cruise ship came to port.) After a few local Caribs and some good conversation, the man's nephew showed up and offered to take us for a swim. 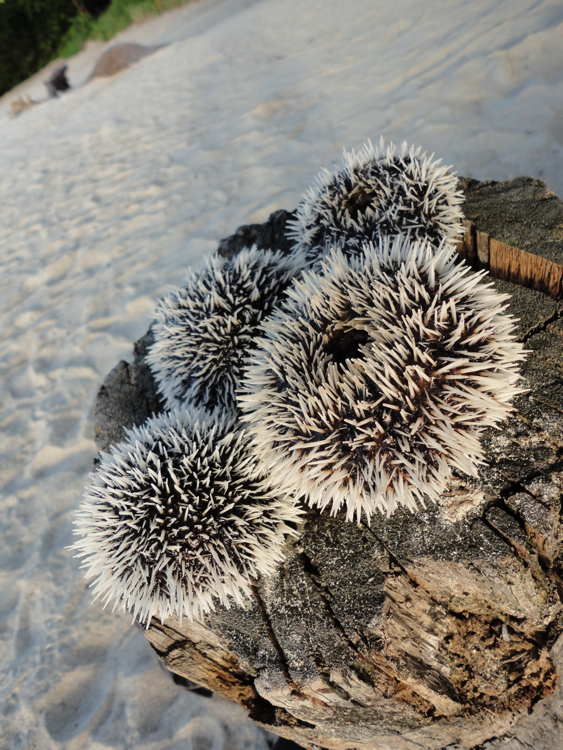 We followed him out to some reefs where he dove down and came up bearing these spiny "sea eggs". Back on shore, he cracked one of these open and insisted that we try the tasty pink caviar inside. It was sweet, salty and delicious. As the sun set, our new friends offered that we join them for a feast of lambie (conch), snapper, yams and plantains (which we ate with our hands "African-style") as we sipped some local 140-proof Jack Iron rum. By the end of our 8-day trip, we were captivated and emotional about leaving. 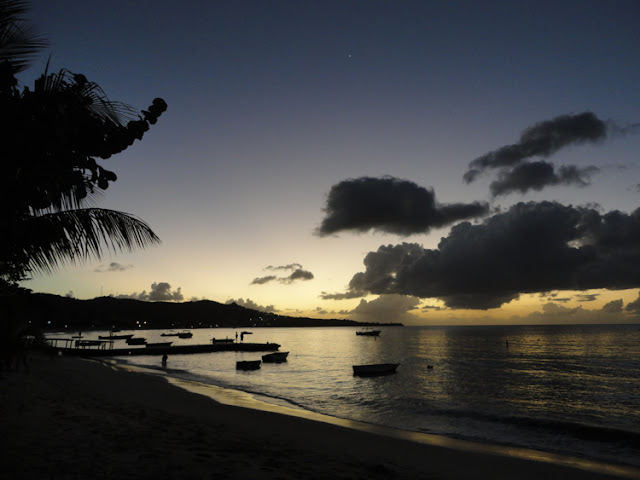 Grenada turned out to be a magical, unpretentious wonder - full of delicious food, warm clear waters and friendly locals who seem to truly enjoy life and living. Highly recommended. Ahh that looks beautiful! What I wouldn't do for sun and caribbean water!